Does an employer have to pay a suspended employee on a zero hours contract? You would think not but in the case of Obi v Rice Shack Ltd, the Employment Appeal Tribunal (‘EAT’) ruled that this employer was, during a disciplinary suspension, obliged to pay the employee in question – even though she was engaged on a zero hours contract and, unknown to the employer, she had also obtained alternative employment whilst suspended. The EAT held that, under the terms of the employee’s contract, she had been entitled to accept other employment – which isn’t unusual and had been under no obligation to notify the employer of this. However, there was no contractual right to suspend without pay and the employer could not point to any conduct on the part of the employee that would have entitled it to have summarily dismissed her. The employee was entitled to be paid for the period of the disciplinary suspension. 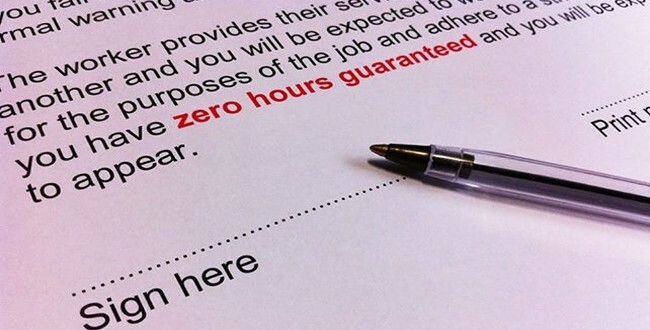 It is easy to think a zero hours contract is a blanket protection for an employer – they aren’t. If a contract isn’t properly drawn up, it offers no protection at all. You can read about why contracts are important here and how we can help protect your business in a disciplinary matter here.